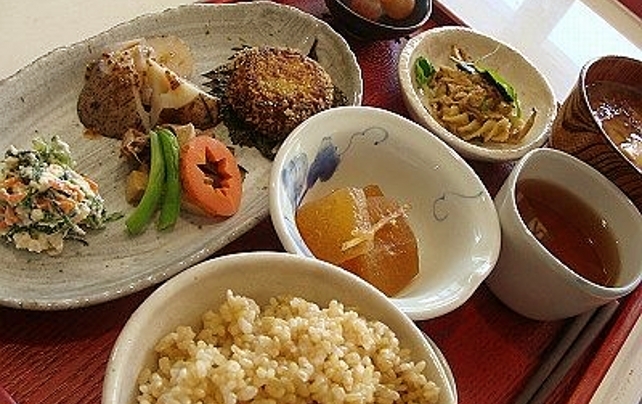 Have you ever heard of macrobiotic food? It is a kind of diet that originated in Japan in the beginning of the 20th century, and is based on seasonal, local and unprocessed food, especially grains, combined into meals according to the principle of balance. That is, the balance between ‘yin’ and ‘yang’ ingredients. Macrobiotic meals are often vegan, though sometimes they can include some types of fish or other animal products, and are said to have innumerable health benefits. Seiko has been cooking macrobiotic food since she was in her early twenties. She lives in a spacious family house in the outskirts of Tokyo, in an area sprinkled with small vegetable patches and big parks. She and her husband Osamu, a painter, lived for several years in Europe before coming back and settling in Japan. One of their main motivations, she said, is to keep in touch with other cultures by meeting foreign travelers, since they rarely have the opportunity these days. Seiko is fluent in English, and Osamu also speaks some Spanish and Italian. 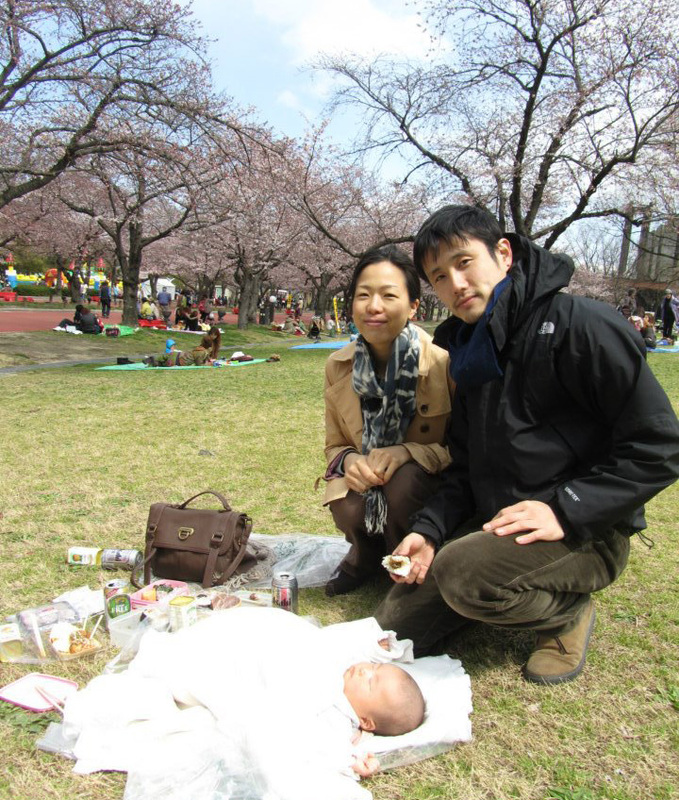 The Hirota family in a nearby park 2 years ago. 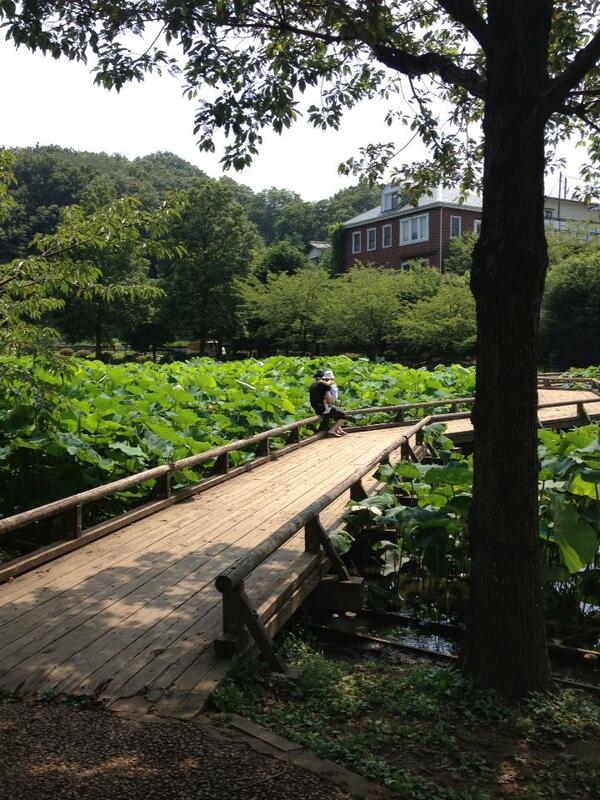 In Machida, where Seiko lives, there are big wild parks and even some vegetable patches. As a lover of macrobiotic food, Seiko was excited at the idea of teaching the basics of this philosophy to interested foreigners. She started by creating a macrobiotic menu for autumn, a season in which your body needs more nutritious food to cope with the colder weather, or in macrobiotic terms, more ‘yang’ food to balance the ‘yin’ cold weather. These include root vegetables, used in her konsai soup and the sweet potato and pumpkin salad, and heavier grains such as millet, used in her millet hamburger called takakibi. And voila, the result. Autumn macrobiotic menu: root vegetables (or konsai) soup, millet hamburger, sweet potato and pumpkin salad and brown rice. The menu also includes black sesame tofu, not displayed in the photo above, which is one of my all time favorite Japanese dishes (and I can tell you I have tried it a lot in my 8 years in Japan). The name is misleading, because even though it’s called ‘tofu’, it doesn’t contain any soy beans. 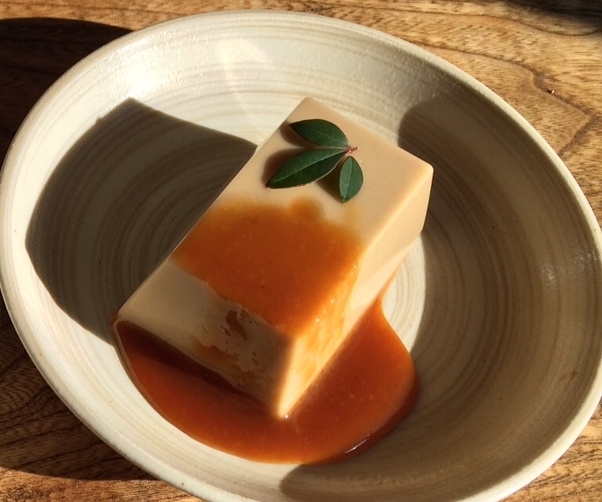 Sesame tofu is a jelly made with sesame paste and kuzu (a climbing plant) powder. It was created in the Buddhist monasteries in Japan, where only vegan food was served. White sesame tofu with its usual miso paste sauce. Delllllicious. If you decide to learn macrobiotic food from Seiko, you will have a great assistant in the kitchen: her 3 year old daughter Ryuju! 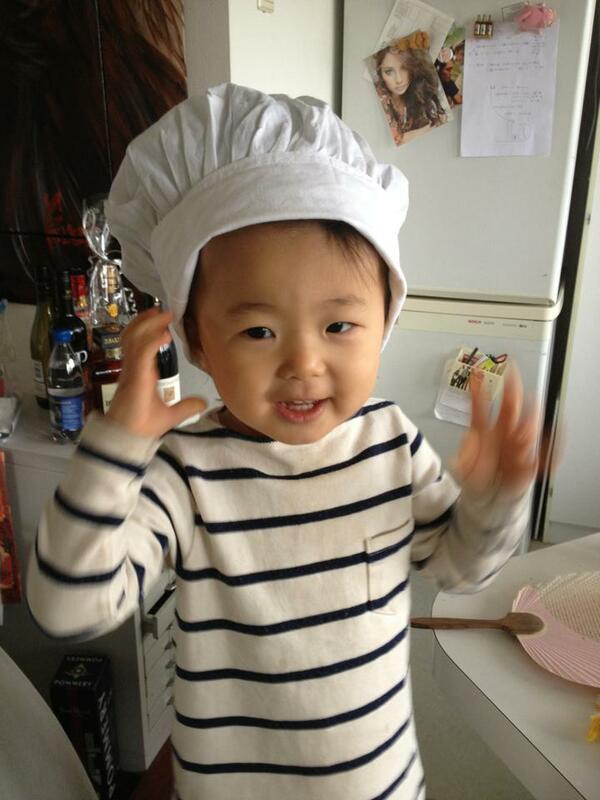 Your 3 year old assistant during Seiko’s cooking session!